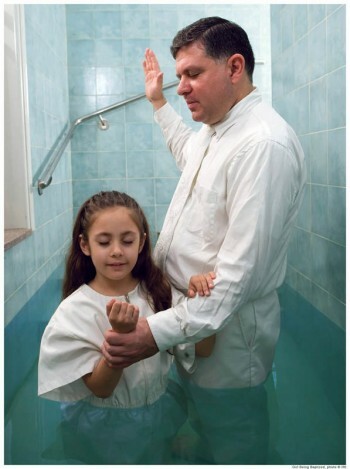 What do Mormons think of infant baptism? It goes without saying, that newborn children are neither aware of the law nor do they possess the cognitive ability to a choose sin over righteousness, and according to Paul, are therefore without “transgression”. Another aspect to this argument is that the Lord petitioned his apostles and prospective members of the early church, to “believe and be baptized”(5). An infant cannot express a belief in anything, let alone faith in a Savior who atoned for sins they haven’t even committed yet. So, in conclusion, based on the evidences shown above, the LDS Church has determined that infants are not born into this world guilty of Adam’s or anyone’s sin, and that their inability to comprehend the laws and commandments of the Gospel, leave them without need of a baptism “unto a remission of sins”(6) until they are age eight or older.